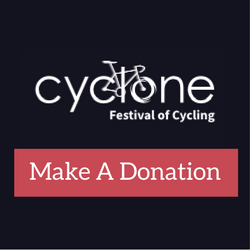 The Cyclone Festival of Cycling would like to thank all companies and organisations for their support through partnership of the event. Marie Curie Cancer Care provides high quality nursing, totally free, to give people with terminal cancer and other illnesses the choice of dying at home, supported by their families. When cancer strikes young lives CLIC Sargent helps families limit the damage cancer causes beyond their health. We provide specialist support to help and guide each young cancer patient and their family. We will fight tirelessly for them, so that they can focus on the important things. 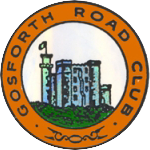 Go-Ride is a cycling programme for young people run by the governing body of the sport. British Cycling. St Oswald’s provides hospice care to North East adults and children with life limiting conditions. Thank you for helping us make a difference to local people’s lives. Find ways to get out more by foot and bike and discover your local area. This has been our focus for over 125 years delivering great products and building a company that cares about how the fruit gets to your local store. Macmillan Cancer Support improves the lives of people affected by cancer. We are a source of support providing practical, medical, emotional and financial support. We are a force for change listening to people affected by cancer and working together for better cancer care. We are all affected by cancer. We can all help. We are Macmillan. Results Base Ltd is an industry leading company providing timing services to events such as running races, triathlons, duathlons and sportives. Basically, if it moves then we can time it! COCO is an international children’s charity. We work with local communities in remote regions of the developing world to alleviate the poverty preventing children’s education. Co-founded by Steve Cram in 2000, COCO is passionate about sporting activities to raise funds. We're the UK's leading asthma charity. There are over five million people with asthma in the UK, and we're here for them when they need us most. 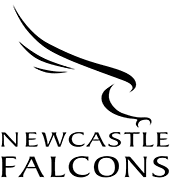 Physiotherapy Matters have three clinics throughout Newcastle in Gosforth, Newcastle City Centre and Darras Hall. Their experienced clinicians are experts in the management of musculoskeletal injuries. Please bring your entry confirmation when booking an appointment to receive 20% off. 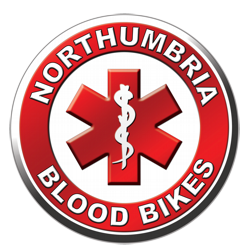 Northumbria Blood Bikes is a registered charity established by local volunteers to deliver essential blood and urgent medical supplies, out of hours, between hospitals and other healthcare sites in North East England. The Great North Air Ambulance Service (GNNAS) is a charity that provides emergency medical support to people across the North East of England, North Yorkshire and Cumbria. Contact the Events Team on 01325 487263 or events@greatnorthairambulance.co.uk for sponsor forms and a free t-shirt. Visit our website for more information.